I’ve been thinking a lot lately about wanting; about desire; about hope; about the strength required to want something and the power involved in getting what you want. This is probably the first in a series. There’s this tug of war between want and need that we learn when we’re really little. We WANT stuff because, well, we want it. It feels good. But it feels like an indulgence. It feels like extra. It comes with an extra shot of guilt. Need, on the other hand, need is easy. If you need something, then you have to have it, so you might as well be done with it. Need is justified. Need is important. Put your own on first. Because want becomes need really fast. Because not tending to yourself first can make you pass out (metaphorically if not literally) and you’re useless to everyone else if you’re lying on the floor. In fact, you’ve just become a liability. So to reiterate: don’t become a liability. Put on your own oxygen mask first. Which means in this case, your wants might need tending. Scarleteen: clear, honest, accurate sexuality education for youth. Support them! "Working with Leela is amazing. She creates a safe place where I am able to be open, honest, and true." 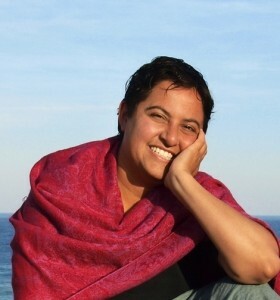 "Leela has been a voice of clarity and calm; she has offered wisdom and insight."